Erin Lincoln thought she'd provide some holiday inspiration this week to help you cross a holiday task off your to-do list. Why not have fun with it as well? 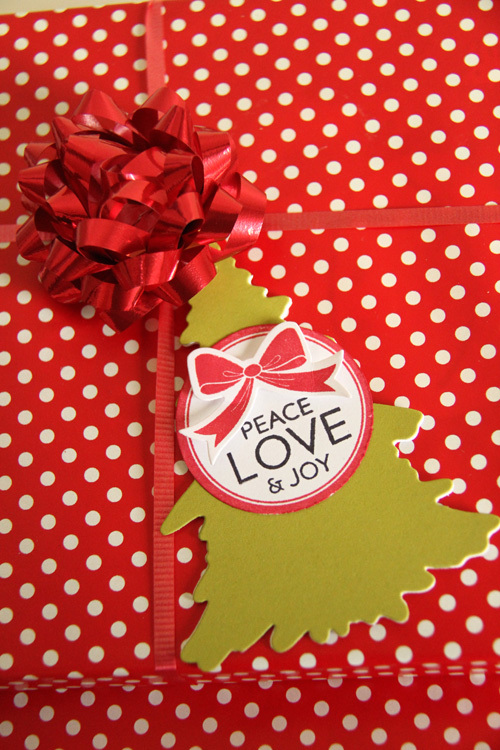 Learn how to turn any die into a folded tag, just in time for your marathon wrapping sessions. Just click play to find out how. –Create a project utilizing your take on the challenge. 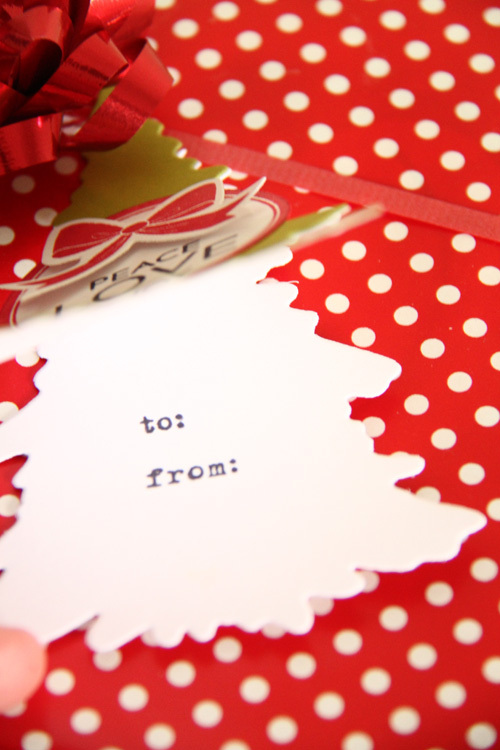 Your project must use at least one Papertrey product and features a die shape turned into a folded gift tag. –You will have until 7am, Monday, December 26th, to add your link to the list to be eligible to win. And you can enter as many times as you like. –One randomly selected winner will be chosen from ALL the entries on Monday, December 26th, after 7am. The winner will be posted here on this blog post, on Twitter and Facebook. The randomly selected winner will get to select a FREE Papertrey stamp set of their choice! Editted to add the winner! Leigh, #79, congrats!! You're our winner for MIM #46. Please email customer service with your stamp set choice and mailing information. Very cool Erin..about the threading the button…don’t tie the back just thread and add your glue dot or pop dot to hold the twine and trim. Great tutorial, easy to follow. Thank you. Hugs Barbara. Thanks Erin super fun ..and great idea and video! PS: I can not get my #3 inlinkz to delete, it is not linking to the right post, so I tried again, #5 is the working link & Image…. can anyone help me remove the 3rd entry? Awesome gift tags, Erin! Loved the video. Great tut and love the simple challenge for this super busy week! Great Challenge Thanks for the inspiration I have used this technique a lot in the past, but it is always nice to get a refresher. Oh Thank you, I just realized I won last challenge. Now I just have so many choices. hehe very very cool! thank u! Love your Christmas tree tag! I love the idea of making tags & cards from dies. Saw Tim Holtz make a card with his gingerbread die cut last year and have been making all kinds of cute cards with dies since. Had not thought of making tags with my smaller dies. Thanks so much for a terrific video and idea, Erin – I love my tags and will be sure to use this technique again! Loved the video–never would have thought to do this! Thank you!